You've made a big investment in your kopter and you need to preserve that investment by monitoring the GPX flight log files created by the Mikrokopter GPS and Navigation Control Boards. During each flight, these flight log files store vital data about the condition of your kopter. These DVDs will help educate you in the tasks of monitoring the health of your kopter; checking for any internal errors that can lead to unexpected landings; and important outcome data to help you improve overall flight performance. These DVDs also present some actual case studies so you can follow along as they are analyzed. These real-world scenarios will provide further education on proper analysis techniques. You will also learn how to playback three-dimensional versions of your flight superimposed on the detailed imagery provided by Google Earth. 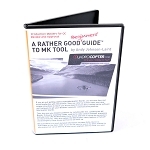 These DVDs provide detailed explanations for the beginner, with close-up views of the computer screen to provide you everything you need to know to start doing your own GPX log file analysis. If you fly a MK-equipped copter with a Navi board, your copter has a "black box".Fully utilizing the data is challenging. This DVD explains and demonstrates the myriad different applications for your data. 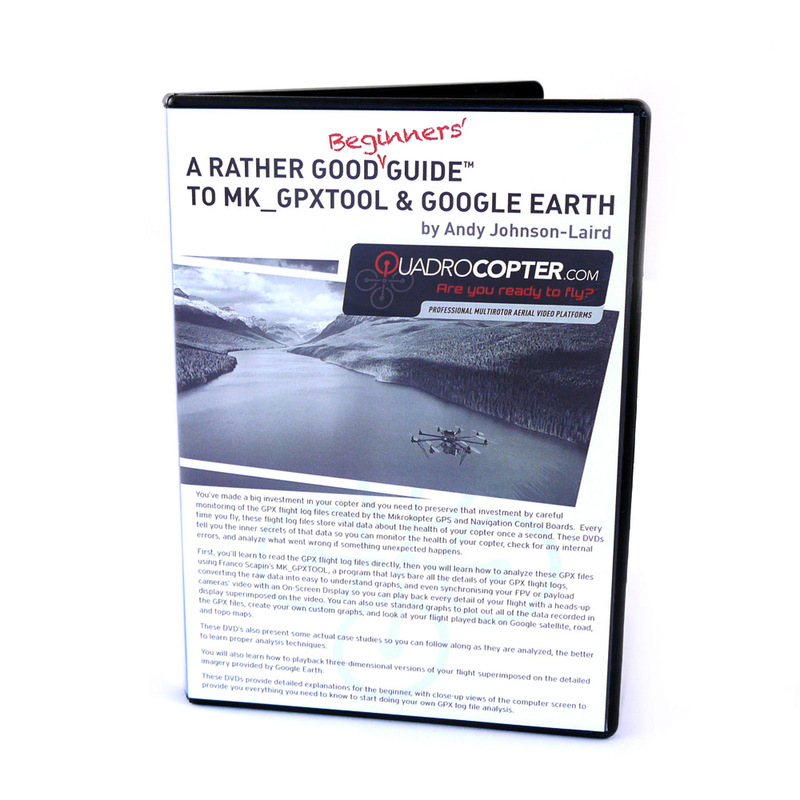 If you want to have a complete picture of your copter's performance, this is essential. Your GPX and KML files are a goldmine, and have helped me avoid mechanical issues, tune my copter, and improve my piloting. Take the time to learn how to do all this stuff. It's well worth it!